Anyone who starts trading forex immediately realizes that there are a lot of factors involved and that a trader has to look at them all. The Forex Trading Plan helps you to make sure that you’ve left nothing out, and that you are pursuing your trading according to the strategy you want to use. It’s surprisingly easy, when trading forex, to get caught up in the heat of the moment, to go off strategy, and to start making mistakes. Forex trading can be excruciatingly slow, but it is also devastatingly rapid. When making decisions, it’s good to know that you have the full weight of your experience and know-how behind you. This is what a forex trading plan offers you, and, although it is tedious work completing it every day you trade, you will find the effort well worthwhile. What goes in the Forex Trading Plan? A forex trading plan has two parts: A journal and the plan itself. The journal is the easy part of the trading plan. In it, you log your trades with all the relevant information – time, date, amount, currency pair, and – this is very important – the strategy behind the trade. If you based your trade on a technical pattern, then, win or lose, explain what you tried to do and what happened. It doesn’t even require full sentences, just a few words like, ‘noted reverse triangle pattern, went long in euros’ or whatever the primary reasons behind your move were. The trading journal is an enormously supportive tool, because, while you are analyzing the market and planning trades, you will, again and again, see patterns that you’ve described in your journal. When you see a winning pattern check in your journal how the last trade based on that pattern turned out, each time you will hone your strategy, noting more and more relevant points so that you win more trades. Yes, there is software available to make a trading journal. You can find a selection of useful apps here. Some of the software supports importing charts and records from your broker; others have specific metrics and even trading algorithms. Choose an app that fits your personality and style. The trading journal covers day-to-day activities, but the trading plan has a long-term outlook. As its name suggests, the trading plan is about what you plan to do with your trading, and how you plan to do it. 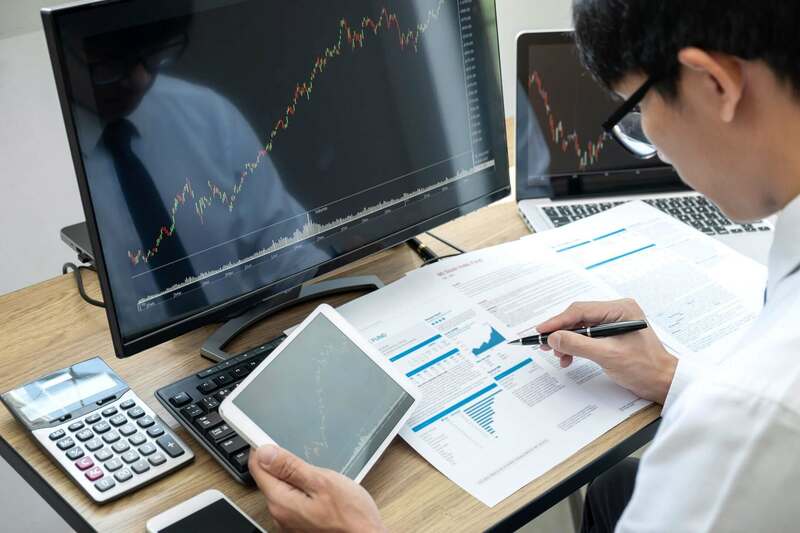 It brings together the different elements of your strategy, so that, before you make a trading decision, you can be sure that you have based it on the right factors. The plan is an evolving document: Every day you write about what you did, why, and how it all worked out. Then you add what you plan to do the next day, based on what market conditions. At the end of the trading day, you discuss results and analyze what happened. Why write all this down? Because you are certain, in this way, to forget nothing and to learn from your mistakes. But the most crucial point of a trading plan is that it helps you rein in your emotions. Every trader gets angry when losing, or too confident when winning. The forex trading plan will remind you to stick to your strategy, and to not make foolish emotional decisions – these can be a trader’s worst enemy. This writer, for example, tended to get mad when losing and to jump back into a trade too fast. When I started keeping a journal, and I was tempted to trade on my emotions, I would look back to the last (disastrous) time I did this, and the reminder often saved me from expensive mistakes. Many traders include a checklist in the trading plan. Make a list of what market conditions are relevant to your trading, what factors are behind your trades based on your strategy, and then go over the list when analyzing the market and getting ready to commit your funds. Some people make the whole trading plan into a checklist, but this leaves out much of your thinking and feeling, and you want to get those on paper to understand more and control yourself better. The plan should also include a long-term evaluation of your trading – perhaps it’s good to do this at the end of the trading week. What are your goals at this point? How have they changed from when you started trading? Do you feel satisfied with your success, and if not, why not? All of this will burn into your brain the elements you need for success, and hone your strategy so that you don’t keep making the same mistakes. It’s tedious and time-consuming, but when you start seeing the profits roll in, you’ll understand why serious professional traders always keep a journal and a forex trading plan.